The idea of this addon came to me when i was watching andy.s video, and i saw a weird addon at the middle of his screen. And so i just tried to do it with my code ! It will show you on a predefined position time remaining of 4 of yours selected debuffs on the target your are looking at. /!\ : target must have at least 1M hp. 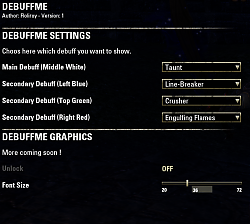 For the taunt it will only show you your taunt and not other's one, for all the others debuffs it will just show time remaining on the target even if it's not you who put the debuff. 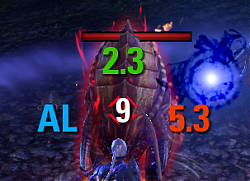 Also if the target is immune to taunt, it will show a red timer in place of the original taunt timer. Same thing for the immune to offbalance. It will just look at the targets on your reticle debuffs and so update the 4 timers on your screen. 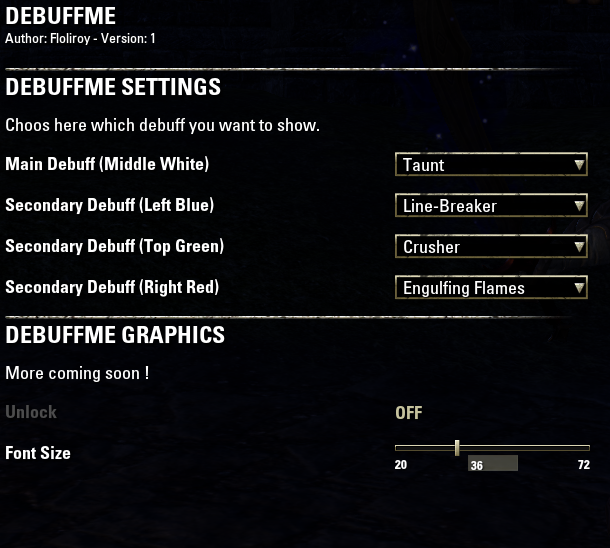 Choose which debuff you want to track. Choose the position and the size of the timers.